Hello! Hope you’ve had a good week? Well, we are nearly at the end of another school year – my kids finish this coming Friday. I think this one has been the fastest one yet! This coming year will be my daughter’s last one at this school before she goes up to secondary school – eek! I’m trying not to dwell on that fact because it does make me feel slightly anxious! Anyway, let’s hope that this beautiful weather we’re having at the moment sticks around throughout the holidays – fingers crossed! My card this week was made a couple of months ago using papers from the ‘Sail Away’ collection by Trimcraft. 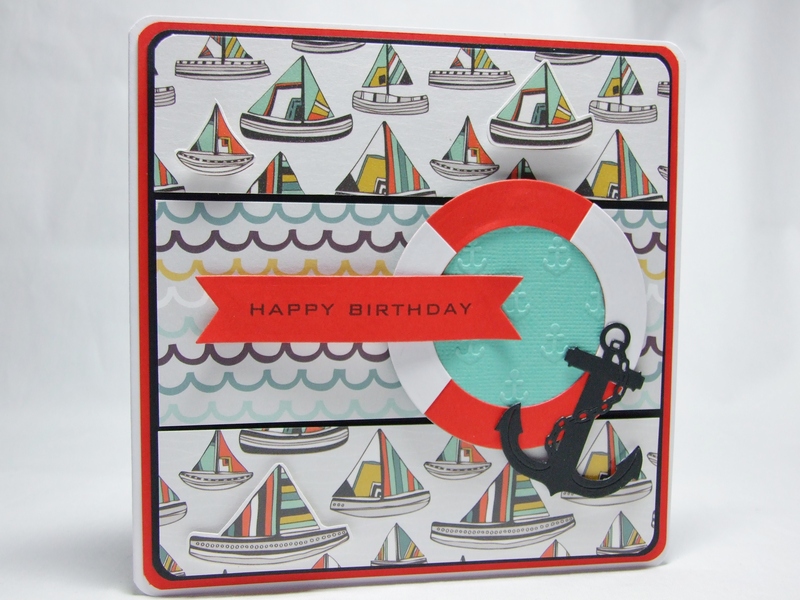 There are some fab designs all with a nautical/seaside theme which also includes some embossed and textured designs. The designs and colour palette lend themselves to cards for men and women. I did a bit of ‘fussy cutting’ around a few of the little boats and popped a foam pad on the back to give a little bit of interest and definition. 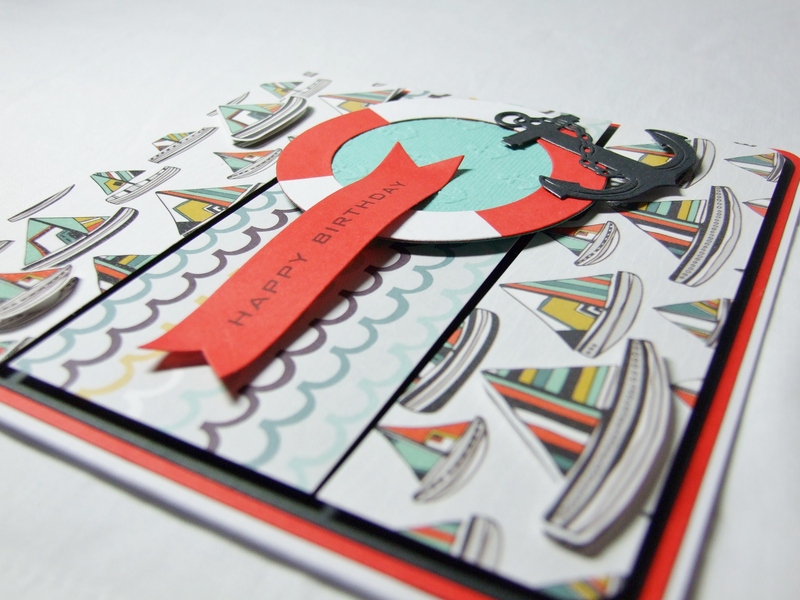 I used:’Sail Away’ paper pad by Trimcraft, red and black cardstock, turquoise Core’dinations cardstock, Spellbinder circle dies, Kaisercraft banner die, X Cut ‘Anchors’ embossing folder, and the anchor die – from who, I can’t remember! Karen this is FABULOUS!!! Love the theme and how you’ve popped some of the boats up! Gorgeous!!! Happy 4th! !